On the heels of the announcement that Michael Che will be the newest Daily Show correspondent, I have to wonder if Jon Stewart's comedian-launching vehicle is any better for underrepresented people in comedy than SNL. Although SNL has been known as a comedic launchpad for big names like Tina Fey, Eddie Murphy and Julia Louis-Dreyfus for years, The Daily Show has recently stepped up as another place for young and relatively unknown comics to catapult from the stand-up circuit to their own TV shows and acting careers. Just ask Ed Helms, Steve Carrell, Stephen Colbert, and (as of last night) John Oliver. Despite the rising prominence of Jon Stewart as a talent-shaping and promoting figure, it seems that all of his exports so far have been straight white dudes who primarily do straight white dude comedy. Ed Helms and Steve Carrell both hitched their wagon to The Office, which sometimes tested the limits of multiracial, multi-gender comedy, but often fell back on troubling stereotypes for smaller characters. And even though Stephen Colbert did groundbreaking satire on the Report, he's retiring to old-white-man late night programming, which hardly seems like a new direction for comedy. Similarly, John Oliver's new show, Last Week Tonight, seems to be nothing but a carbon copy of The Daily Show, with an English accent. 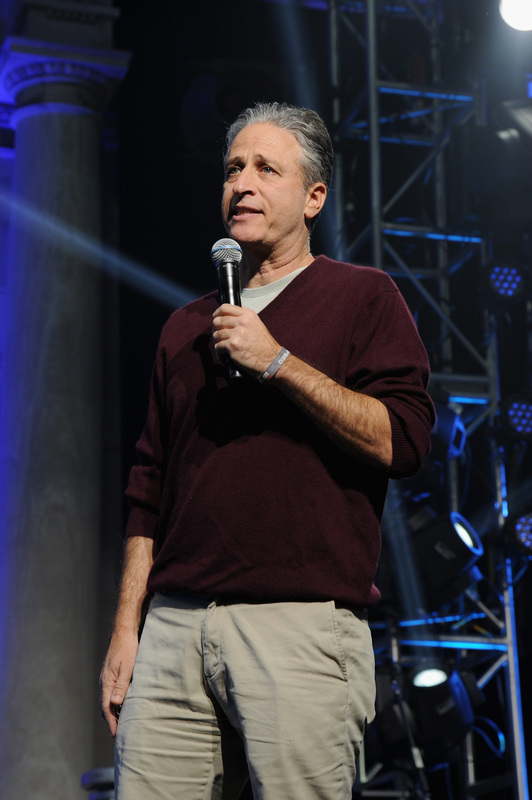 So why don't we see young women, or people of color, or gender-fluid comedians making their way from Jon Stewart's talent incubator to the "big time?" In large part, these groups don't move past The Daily Show because they aren't on The Daily Show. Let's look at the current list of correspondents. With the addition of Michael Che, there are eight men versus three women, and while half of the male correspondents are non-white, there is only one woman of color, the awkwardly-funny Jessica Williams. Before Jessica (who was hired this year), Olivia Munn was the only woman of color to be a correspondent, and she was only hired after she had made a name for herself on Attack of the Show. It's heartening that The Daily Show has become a jumping-off point for comics, since Lorne Michaels no longer runs the field of comedian-promotion, and up-and-comers have other paths to television-comedy stardom. At the same time, Jon Stewart should be standing apart from Lorne's questionable diversity practices, not falling into the same boring white-guy patterns. So let's hope that Jon can develop a more diverse team to launch into the comedy stratosphere. But so far, he's fallen back on the same white-guy strategy, and it's killing the diverse spirit of comedy.